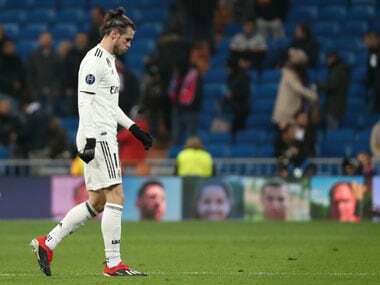 Madrid: Real Madrid coach Zinedine Zidane joked on Friday that he was "jinxed" as his team comes under attack for their misfiring start to this season's La Liga campaign. "So now I'm jinxed, am I?" the Frenchman said two days after Real suffered a shock 1-0 defeat by Real Betis. "Before I was the shining star... No, no, I've always been a shining star, don't worry. 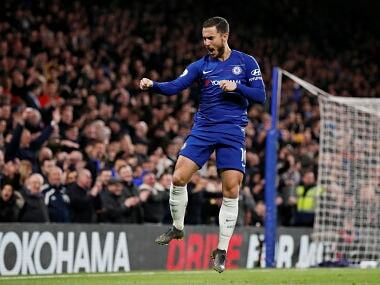 "I'm at this club and I make the absolute most of being here. "I don't think about bad luck, that's part of football and the good news is that we have a match tomorrow. We have the chance to be able to change that quickly and we'll do it." 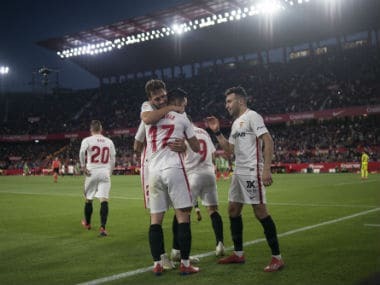 In the space of just five games Real have gone from red hot La Liga title favourites to trailing rivals Barcelona by seven points ahead of Saturday's trip to Alaves. When Madrid swept a crisis-ridden Barca aside 5-1 in the Spanish Super Cup last month, Zidane's men were expected to romp to the title. Instead, disappointing home draws against Valencia and Levante were compounded as Real failed to score for the first time in 74 games when Real Betis became the first side other than Barca or Atletico Madrid to win at the Santiago Bernabeu in La Liga for six-and-a-half years on Wednesday. 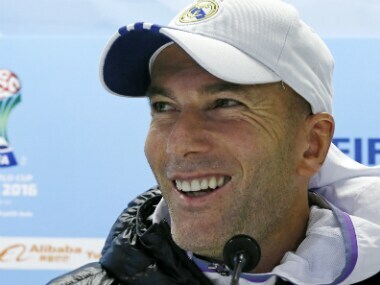 But Zidane insisted that his team was not of the mindset that La Liga was already beyond their grip. "You can have a 10 or 15-point deficit but in football there are highs and lows and you can experience bad moments and each team will experience them," the 1998 World Cup winner said. "My character is that I won't scream for screaming's sake or do things that are out of keeping for me. "Tomorrow, we have a match in which to prove ourselves and I have a match to show that I'm worthy of being in this job." Zidane added that he was happy to be coming up against his eldest son Enzo, who joined Alaves from Real's reserves over the summer. "I hope he won't score because we're competitors, him from his side and me from mine."